Features original language editions of all the texts (Greek, Latin, Coptic). New English translations are both vibrant and accurate. Includes select apparatus and notes to help guide the reader. Incisive introductions that provide historical, literary, and textual issues. Makes available for the first time texts that have been virtually inaccessible in modern times, both in their original language and in translations. Bart Ehrman–the New York Times bestselling author of Misquoting Jesus and a recognized authority on the early Christian Church–and Zlatko Pleše here offer a groundbreaking, multi-lingual edition of the Apocryphal Gospels, one that breathes new life into the non-canonical texts that were once nearly lost to history. In The Apocryphal Gospels, Ehrman and Pleše present a rare compilation of over 40 ancient gospel texts and textual fragments that do not appear in the New Testament. 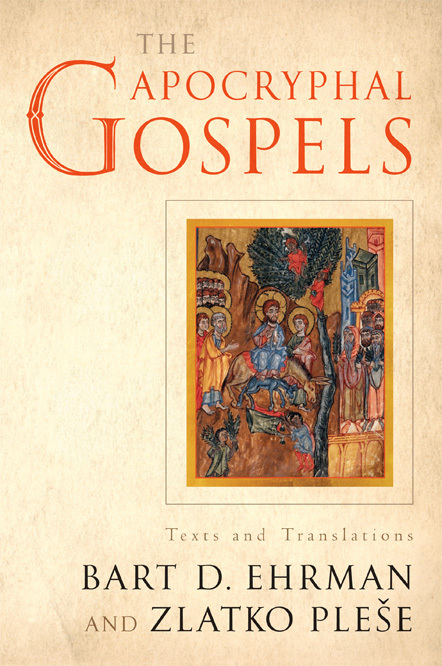 This essential collection contains Gospels describing Jesus’s infancy, ministry, Passion, and resurrection, as well as the most controversial manuscript discoveries of modern times, including the most significant Gospel discovered in the 20th century–the Gospel of Thomas–and the most recently discovered Gospel, the Gospel of Judas Iscariot. For the first time ever, these sacred manuscripts are featured in the original Greek, Latin, and Coptic languages, accompanied by fresh English translations that appear next to the original texts, allowing for easy line by line comparison. Also, each translation begins with a thoughtful examination of key historical, literary, and textual issues that places each Gospel in its proper context. 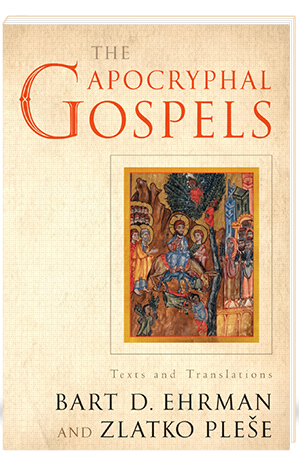 The end result is a resource that enables anyone interested in Christianity or the early Church to understand–better than ever before–the deeper meanings of these apocryphal Gospels. The Apocryphal Gospels is much more than an annotated guide to the Gospels. Through its authoritative use of both native text and engaging, accurate translations, it provides an unprecedented look at early Christianity and the New Testament. This is an indispensable volume for any reader interested in church history, antiquity, ancient languages, or the Christian faith. Co-author Zlatko Pleše is Associate Professor of Ancient Mediterranean Religions at the University of North Carolina at Chapel Hill. He is the author of Poetics of the Gnostic Universe: Narrative and Cosmology in the Apocryphon of John.